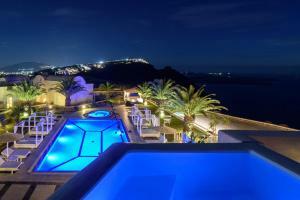 Located on the edge of the caldera, Pantheon Deluxe Villas offers a summer terrace with 2 pools and a hot tub, an elegant restaurant and panoramic views of the caldera, the Aegean Sea and the volcano. 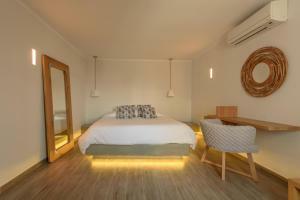 This spacious studio is fully furnished and has a balcony overlooking the pool. 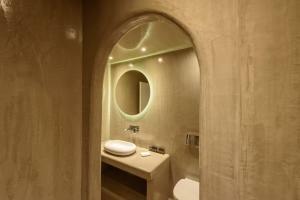 This villa of 2 levels has capacity for 4 people and includes private patio, balcony, 2 bathrooms and shared main pool. 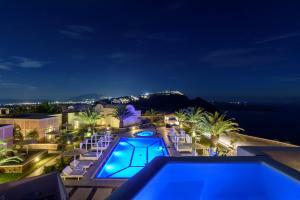 This 2 villa is very spacious and has a private pool and a private terrace overlooking the Aegean Sea. They can be accommodated between 2 and 4 people. This suite offers a balcony with views of the caldera, an outdoor hot tub with caldera views and a private entrance.